Im looking to get a proof carbon barrel chambered and thrown on a remmy700. Any suggestions for smiths that do good work? If you want a shouldered barrel you’ll have to get the action in the smiths hands. A little easier if he’s local to you. Had a very good job done on a 700 by shaenrifles.com. I packed well and shipped via ups with no issues. For a steel barrel, I'd say use someone local. For a PR carbon, I would use Mile High, TS Customs, Alamo Precision, PVA, or some other smith that regularly uses Proof. Thanks all, this gives me a bit to choose from. Yeah i def want someone thats dealt with proofs carbons before. Where are you located and what’s your timeline? I just picked up two custom builds from Snowy Mountain rifles in Missoula Montana. I pulled one apart and inspected the work from bedding to Ceokote. The fit, finish and quality of service was top shelf. 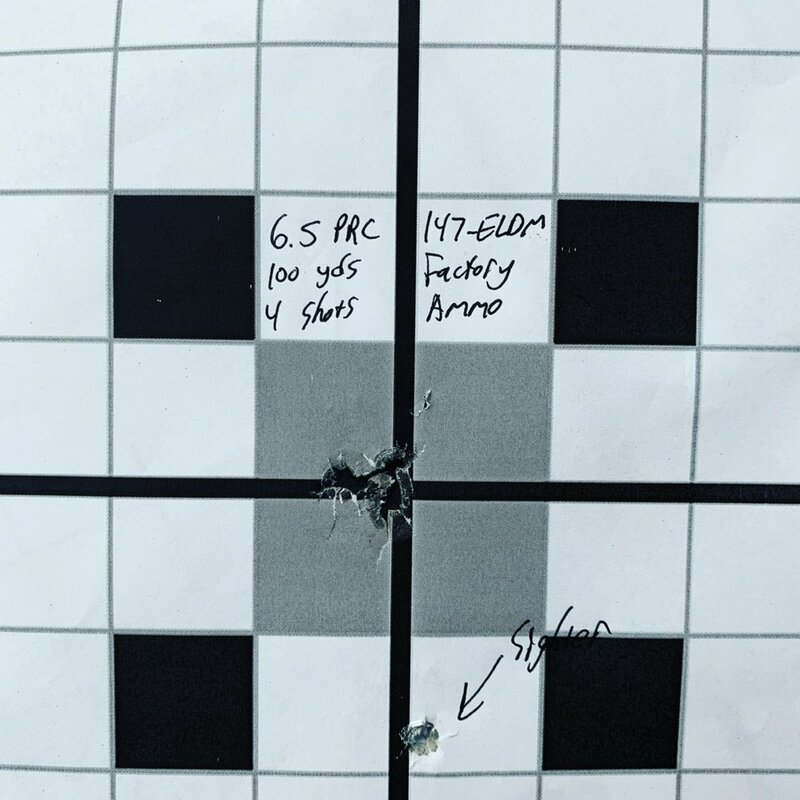 The first group from the rifle with factory ammo was .3 moa. Worth a call. In FL, i was hoping getting this built within 8 weeks. Ill send you an email with details. You might want to check into Collier Rifles out of GA. Joe has built a 6.5 Creedmore for me and a 300WSM for my buddy here recently and they both have been very accurate. Look up or stop by Altus Shooting, formally CORE Shooting, in Baker FL. Awesome folks. Super knowledgable and build some real shooters. They chamber a TON of rifles with Proof barrels. They host the Accuracy International Long Range Challenge every year and are very well respected in in the industry. here is a Florida smith I know. I have a rifle being built this guy LOL. you should give him a shot. Beanland Custom Rifles builds accurate rifles. 2 sighters not pictured. Right group 4 shots factory lapua 6.5x47L ammo. Left group once fired brass 6 shots. I've used a number of different gunsmiths on my rifles over the last 15 years or so. I always come back to Chad Dixon of LRI. Their work is second to none and they are fast! Snowy Mountain Rifles is also a great company to work with, I've just found they run a bit slower.